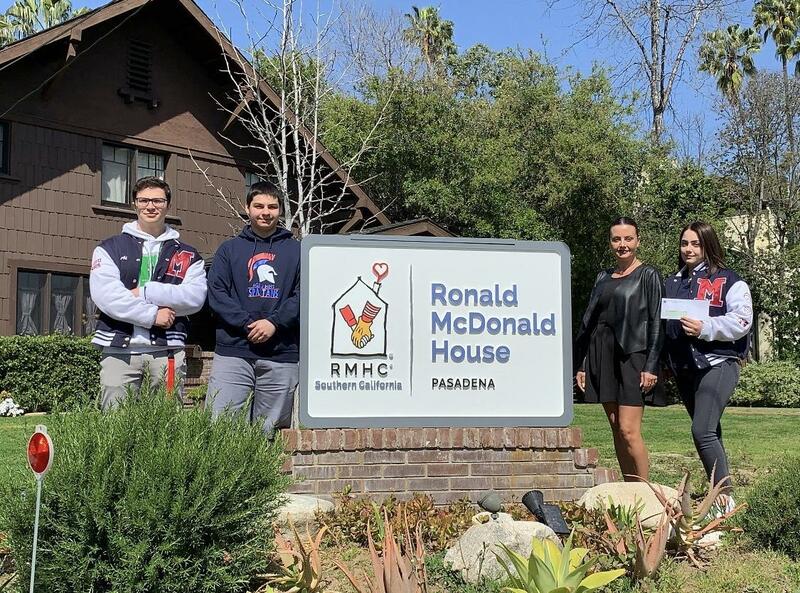 For 15 years the Ronald McDonald House of Pasadena has been providing comfort, support, and care to children and families in Southern California. It has become a place where families are kept close to each other, while their loved ones receive the care they need. The mission of the Ronald McDonald House Charities is to create, find, and support programs that directly improve the overall health and well-being of children and their families. On Monday, March 25th, 2019, three members of Service Club, accompanied by Mrs. Markarian, delivered the monetary donation of $150. We were given a tour of the House. A representative gave us an insight as to what it is like to stay at a Ronald McDonald House, since for many it is their home away from home. Once the tour came to an end we took a group picture in front of the new Ronald McDonald House of Pasadena sign.